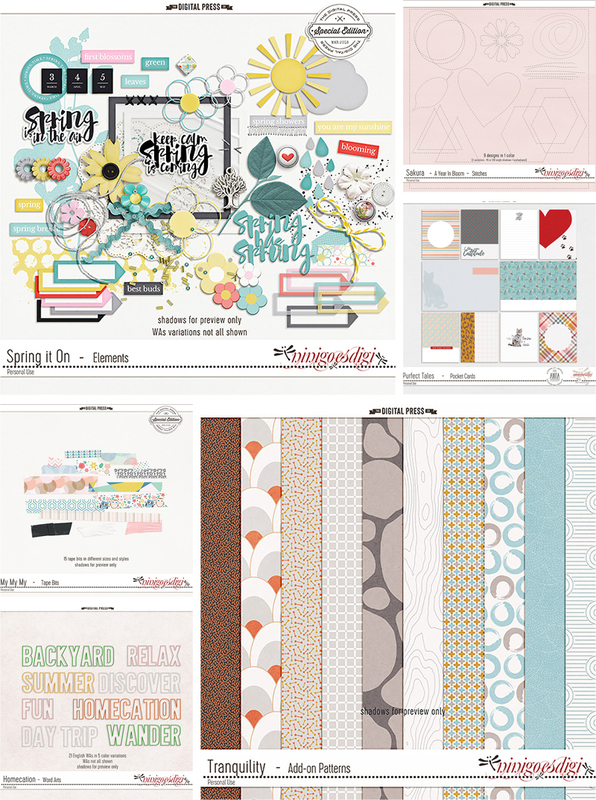 Happy Friday, everyone, and welcome to another edition of our Feature Friday series here on The Digital Press blog! 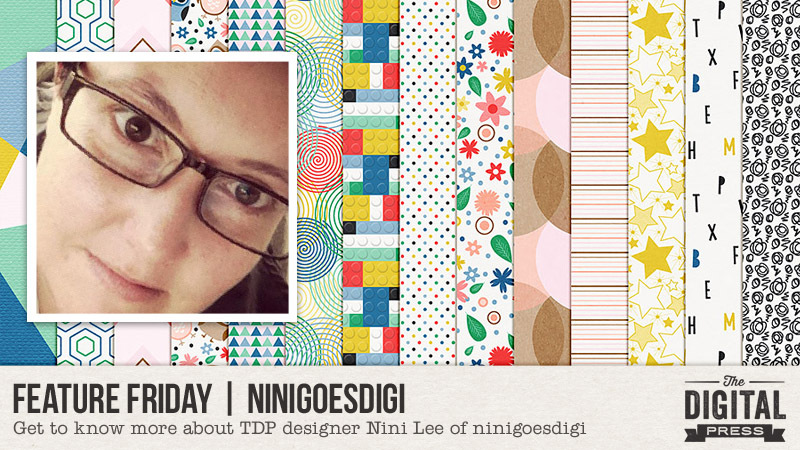 This week, I’m thrilled to put the spotlight on the amazingly-talented Nini Lee of ninigoesdigi. This is actually Nini’s second feature here on the blog (you can find her Foodie Friday post from February 2018 HERE). Some of you might have read that I have been dieting since February 11th, but what you don’t know yet is that since last scrap “check up” (May 11th) where I was at -10kg is that now I have reached -15kgs!! Yay! That was about 2 weeks ago and now the pace is going much slower than it used to be but I keep walking and I try my best to not get back my bad eating habits! Let’s hope 2018 will be the year I loose what I gain in 20 years in Japan. I am a big Pokemon Go player. It has been my “carrot” and pushed me to walk more. I actually enjoy walking alone but I don’t think I would have walked that much if I hadn’t that game to play to. I don’t feel the kilometers when I play Pokemon Go. I have a few scrap friends who are also big players so it’s nice to share our stories. As I was saying above I have lived in Japan for 20+ years now and I still badly hate summers here. Hot, humid. I could do with hot if I have some shade maybe but the humidity now makes it yucky all the time!! I wish I could spend summers in France instead. I am a TV series addict. You name it, I probably have watched it. But I shouldn’t brag about it because if you think of the time spent watching those series… wow… moving along… lol. Anything suspense, action, adventure, thriller, medical, supernatural related is good for me. I am so glad to have had the opportunity to help you get to know Nini a little better today! 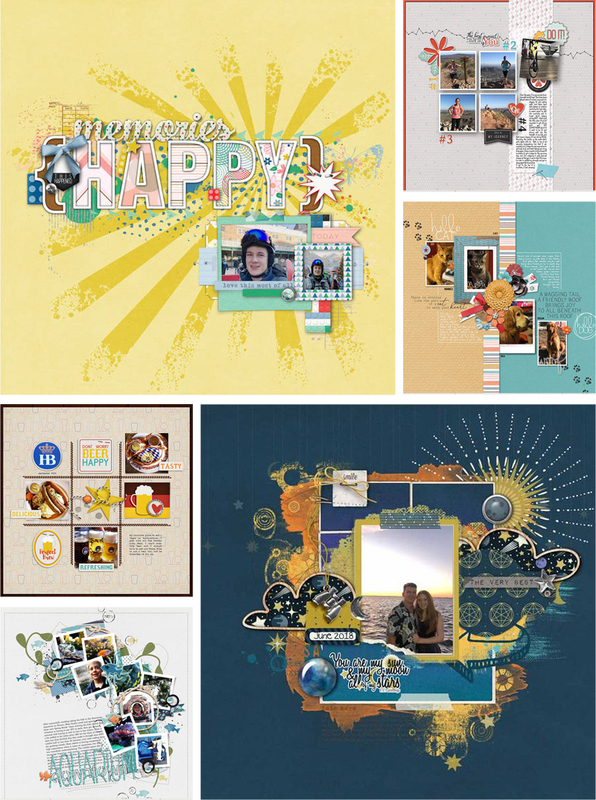 Now that I have you excited about her amazing digital artwork… you’ve got to go check out her shop here at The Digital Press during her feature week and take advantage of this week’s 30% OFF sale throughout her feature week (the sale will end at 11:59pm ET on Thursday 7/12). Additionally, Nini has a special Free-with-Purchase offer for everyone this week! 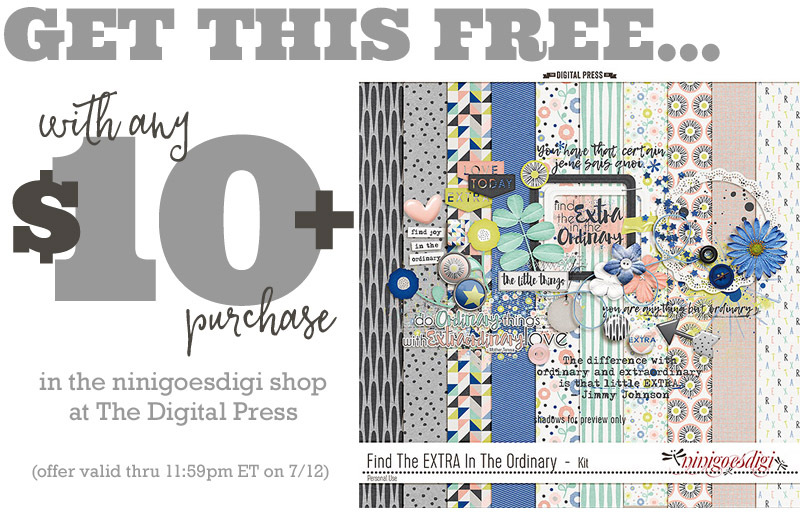 Don’t miss out on this opportunity to stock up on your favorite products from ninigoesdigi… and you will get this awesome full kit — Find the Extra in the Ordinary — for FREE with any $10+ purchase in her shop — this week only (again, this offer ends at 11:59pm ET on Thursday 7/12).